Summary:This an improved frosting line, which can enhance production capacity and quality. 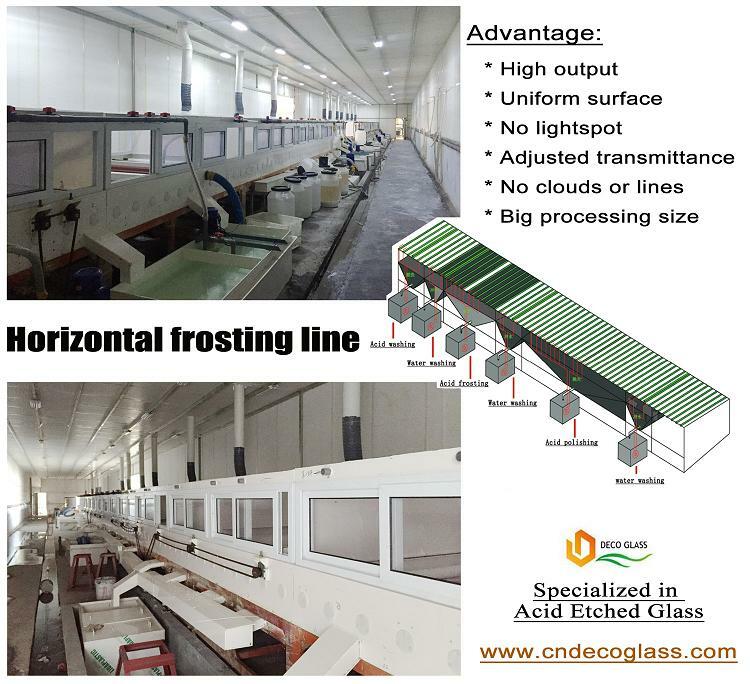 At the beginning of Year 2016, DECO GLASS puts a new acid frosting line into production. This is an improved and adjusted line, whose products can meet with your requirements and application.